Glasgowmusic.co.uk - Review : "Blancmange - Audio - 28/10/17"
"Eighties electro pioneers Blancmange return to Glasgow with an intimate show in Audio." Eighties electro pioneers Blancmange return to Glasgow on the back of something of a resurgence in popularity. New album �Unfurnished Rooms� has received near enough universally positive reviews since its release in September, and numerous modern electronic artists have cited them as a key influence. Audio provides an intimate setting for an act who are still held in such high regard, and the venue is predictably rammed. Beginning with an intimate, piano-led rendition of ABBA cover �The Day Before You Came� is a bold move in Glasgow on a Saturday night, however frontman Neil Arthur shows his vocal is in fine fettle and the crowd pay the respect it deserves by being deathly silent before things kick into more familiar territory with the excellent, pulsing �We Are The Chemicals� an early highlight. Arthur is clearly having a ball from the off, and cannot hide the big beaming smile which is plastered on his face all night. Blancmange can�t have sounded much better than they do at present either. The spoken word-led �What�s The Time?� sounds massive, and a cacophonous �I Can�t Explain� sounds as urgent today as it did when it was released over thirty years ago. Arthur even busts out some of his best Ian Curtis-style shapes, immersing himself amongst the layered synths playing over him. The only downside to the otherwise joyous atmosphere this evening, is the absence of original keyboardist Stephen Luscombe, who has been unable to tour since suffering an abdominal aneurysm in 2011. His absence doesnt go unnoticed. Arthur is asked about his well-being mid-show, and regretfully informs that he is still unwell. 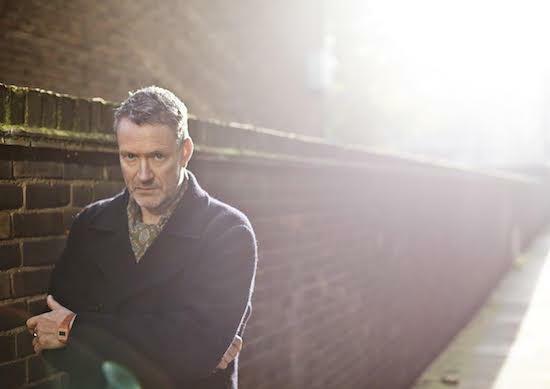 On this, the day before his birthday, the Glaswegian crowd pay tribute to the other half of Blancmange with an extra loud Glasgow roar before the appropriately titled �Gratitude�. As the intro to �Living On The Ceiling� kicks in, something magical happens. One of those moments that no one can fully understand unless they�ve attended a gig in Glasgow. The venue goes absolutely berserk, and howl the instrumental refrain back at the stage, long after the song ends. The band are in hysterics, and unable to continue their set due to the sheer volume of several hundred booming Glaswegian voices. After a near ten-minute acapella singalong, Arthur expresses his thanks, dubbing it �the longest chant we�ve ever heard�. Blancmange still haven�t even peaked either. They end their set with a double-whammy of �Feel Me� and �Blind Vision�, the former featuring snippets of �Pop Muzik� and �Pull Up To The Bumper�, before encoring with a terrific �Don�t Tell Me�. Tonight was proof, if any was needed, that Neil Arthur is a criminally underrated talent. Glasgow were spoiled with an absolutely flawless trawl through the back catalogue of an act who have maintained their relevance over a career spanning three decades. If Blancmange continue to absolutely nail performances like they did tonight then, to borrow a lyric of theirs, that�s alright with me. This review has been viewed 5208 times.